Pickup from Bhubaneswar and transfer to Puri approx. – 2 Hrs. 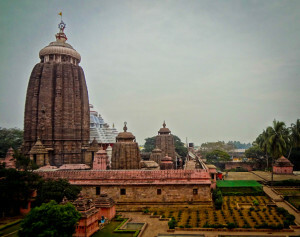 Evening Darshan at Puri. Night in Puri. Morning visit to Sonpur beach. Then drive back to Bhubaneswar and visit to Khandagiri & Udaigiri Jain caves ( oldest rock cut caves ). Afternoon Later half day sightseeing famous city temples including Lingaraj, Parsurameswar, Mukteswar ( Mukteswar temple, one of the most prominent temples of Bhubaneswar, has been constructed in the style that is quite similar to the one used in the Kalinga School of Temple Architecture and know as the ‘gem of Orissan architecture’ ), Rajarani temple. Overnight at Bhubaneswar. Taxi – Indica upto 3 pax.